With the Rainshower Classic 160 shower set, you can optimally enjoy your experience. 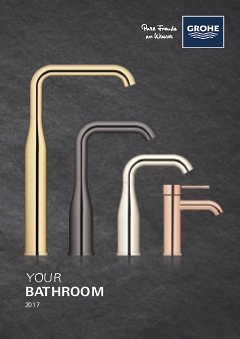 The luxurious hand shower offers you the choice between four types of spray ~ the fine raindrops of the Rain spray, the powerful spray of the Jet, the full experience of the Pure spray or the soft Champagne spray, which is enriched with air bubbles. Whichever you choose, GROHE DreamSpray perfectly distributes the water to all spray nozzles. TwistFree is a useful application that prevents the shower hose from getting tangled up and SpeedClean makes sure that limescale stands no chance. Finished with shiny GROHE StarLight chrome, this shower is very low maintenance and super scratch-free. With the GROHE QuickFix Plus system, the installation is also easy. The set comes with a hand shower, 600 mm shower rail and a 1750 mm long shower hose.